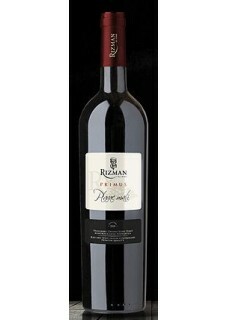 As its name suggests, Plavac mali Primus is the first wine produced by winery Rizman. The idea that the name Primus would only be used for the first harvest of our winery has been translated into a decision that Primus would remain the synonym of our wine produced from the sort Plavac mali. Primus is produced exclusively from grapes from our vineyards of the sort Plavac mali, which are located in the south and southwest slopes with inclinations of up to 40%, in the locations from Raba to Komarna, which go all the way down to the sea. This unique terroir creates the preconditions for obtaining top quality grapes. Food pairing: Roasted Fish, game, steaks, ham and a fine white meat dishes.